Knautia ‘Melton Pastels’ is a mainstay in the Higgledy garden…although in a different botanical genus to Scabiosa…they are very close…if not holding hands. 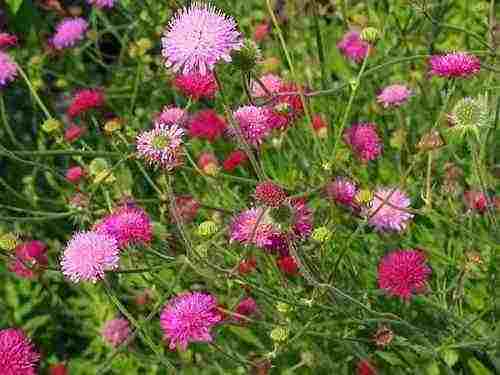 These come in a range of subtle shades and are nothing short of a joy to grow from seed and growing to a metre or more tall they make awesome cut flowers. This perennial will flower all summer long and a first cutting of the flowers will give you a second albeit slightly shorter flush of flowers. Give a bunch of these to your Granny and you will have cakes for life.